Thank you for joining WILMA on Dec. 1 & 2 at the Wilmington Convention Center. Be sure to save the date for 2018. What drives women to be strong leaders? Most know that high-demanding positions mean nothing if they can't influence others to believe in their mission. Influencing your employees and co-workers to be team players, to be innovative in their roles, and to take ownership of their projects are just some of the secrets to effective leadership. These five local women will share leadership styles, give us insight about how they influence others, and offer tips and real-life takeaways that can help with your leadership development. Terry Espy is the owner of downtown Wilmington’s Momentum Companies LLC, a real estate and development firm focusing on community vitality and enhancement. For 30+ years, Espy has been a commercial real estate leader, fostering strategic partnerships and helping launch some of Wilmington’s most innovative reuse and development projects. Her contributions have resulted in the upswing of the Castle Street Arts & Antiques District, the commercial development of Wilmington’s only warehouse district now known as the South Front District, and numerous outstanding restaurants, shops and businesses. 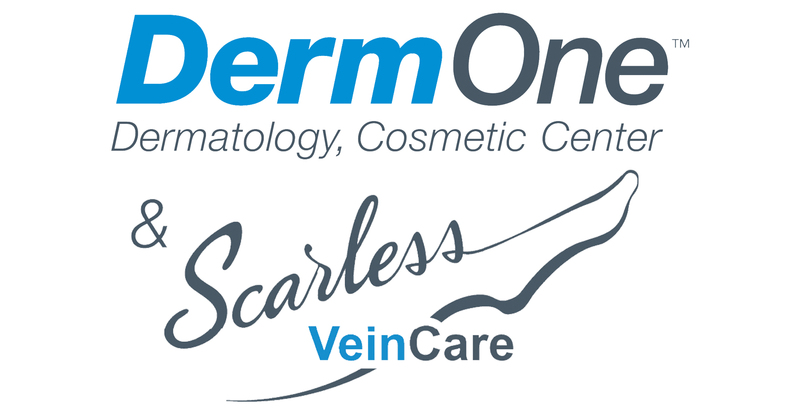 Terry has received numerous honors, including the Pinnacle award from Raleigh Chamber of Commerce, and the Women in Business award from Triangle Business Journal. She is currently serving as President of the Downtown Business Alliance, and mentors young professional women as a member of Commercial Real Estate Women. Espy also serves on the boards of Wilmington’s Junior Diabetes Research Foundation, Historic Wilmington Foundation and Thalian Hall Center for the Performing Arts. Donna Esteves, a native of Sumter, South Carolina, graduated from Clemson University in 1986 with a degree in Ceramic Engineering, and began working at Corning, Incorporated one week later. She immediately fell in love with the Cape Fear region, and vowed to never leave the area! With 31 years at the Corning Wilmington Plant, Donna has worked in Engineering, Operations, and Facilities & Maintenance, managing departments with up to 625 personnel. She completed a 6-month overseas assignment as the Operations Readiness Manager for the start-up of a new optical fiber plant in Pune, India. In 2012 she changed career paths and accepted the Wilmington Plant Supply Chain Manager position, responsible for creating a new department that manages Planning, Procurement, Shipping, and Material Handling functions for the plant. In order to become proficient in this new area, Donna completed an online Master’s Degree program in Supply Chain Management from Penn State University in 2016. She was recently promoted to Americas Regional Supply Chain Manager with responsibility for the supply chain network of 6 Corning fiber and cable plants located in North Carolina and Mexico. 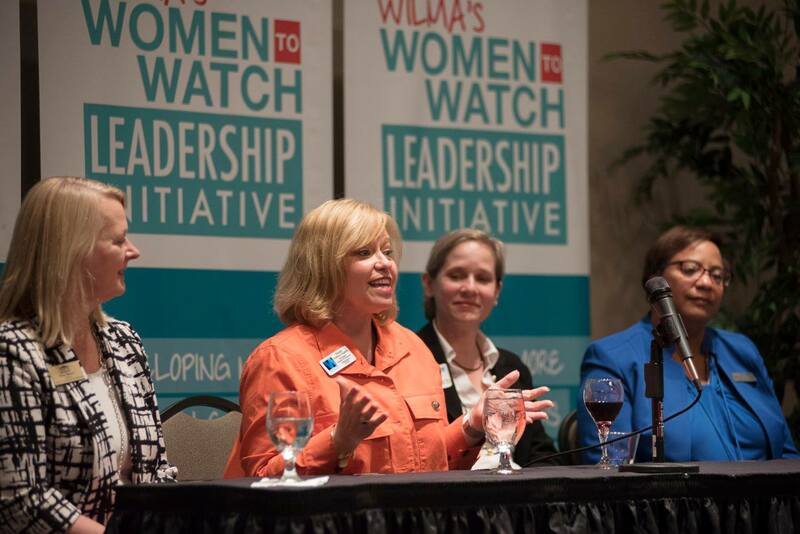 Donna is a member of the WILMA Women to Watch Advisory Board and the WILMA Mentoring program. She is also a member of the Women’s Impact Network and serves on the Lower Cape Fear Hospice Foundation Board of Trustees. Outside of work, Donna and her husband, Matt, live in Hampstead, where they enjoy the beach, boating, and entertaining family and friends. They have two adult sons, a daughter-in-law, and two beautiful granddaughters. Lori Feezor, a certified risk manager and an attorney licensed in North Carolina and California, serves as General Counsel and Vice President of Legal Affairs at New Hanover Regional Medical Center. Immediately prior to joining NHRMC, she served as Associate Vice President and Chief Compliance Officer at Duke University Health System. In previous roles as both outside and in-house counsel, she provided legal and risk man­agement advice to a variety of health enterprises including academic medical centers, hospitals, physician groups, HMOs, PHOs, MSOs, wellness centers and surgery centers. In addition, she served as adjunct faculty at East Caro­lina University for several years where she taught health law. She also directed the risk management program at the University of California-Davis, Medical Center where she was responsible for the litigation, insurance and risk man­agement functions of both the hospital and medical school. Lori writes and edits the NC Patient and Provider Rights Guide, a resource manual produced by the NC Hospital Association with funding from the Duke Endowment. In addition, she has published several articles in professional journals and is a frequent national and statewide lecturer on various health-related topics. In 2011, she was the recipient of the NC Bar Association – Health Law Section’s Distinguished Service Award, an honor that has only been presented six other times. In 2016, Lori received the YWCA Women of Achievement award in business. Avril Pinder is the Deputy County Manager of New Hanover County. She supervises nine department heads including Tax, Information Technology, Property Management, Community Justice, Finance, Senior Resource Center, Health, Social Services and Elections. Prior to her current position, she served as Assistant County Manager and Finance Director for New Hanover County, where she oversaw the financial operations of the County, the Tourism Development Authority’s financial management, and the Tax Department. Pinder has a Bachelor’s Degree and a Master’s Degree from Delaware State University. She is a Certified Public Accountant in the State of Delaware and in North Carolina, a North Carolina Certified Local Government Finance Officer, and a North Carolina Certified Housing Counselor and recently became a Credentialed Manager by the International City/County Manager’s Association (ICMA).Pinder was selected as WILMA’s Woman to Watch in the Public Service Category for 2015. 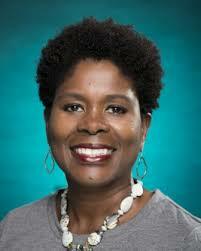 She actively serves on the Boards of The Carousel Center and Wilmington Hammerheads Youth Soccer. 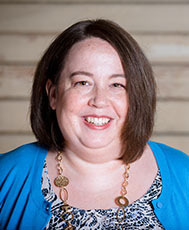 She is past president of the board of directors for the Cape Fear United Way and past Treasurer for East Carolina Community Development, Inc. Avril is an Economic Development Financial Professional and a member of The National Development Council. 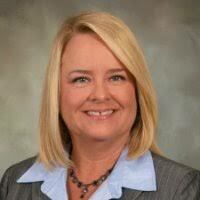 Trisha leads the team responsible for the design, development, and roadmap of the nCino Bank Operating System. She has over 15 years of financial services and technology experience, previously leading development organizations at Primatics Financial and Eagle Investment Systems. Price has also led the Securities Accounting Department at Fannie Mae and developed Net Investment Income forecasting models at John Hancock. She holds a bachelor's degree in mathematics from North Carolina State University and a master's degree in software engineering from Harvard University. The WILMA Expo Preview Party includes food, drinks, prizes and a sneak peek at exhibitors’ offerings. 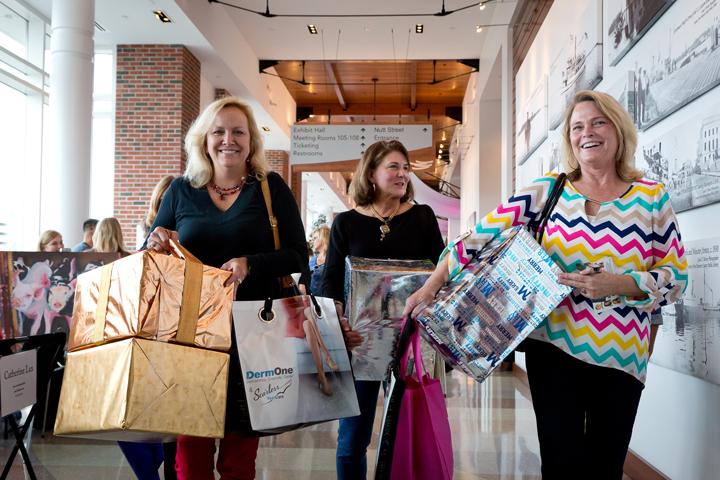 The party also features a Celebrity Auction where some of our region's top business and community leaders will walk the runway to raise money for charity and share their insights on leadership, business and our community with the highest bidders. Groups of up to four people can pool their funds to bid and meet together with the celebrities. The winning bids will go directly to the charities selected by the celebrities. Johnathan Barfield has been a resident of New Hanover County since age one and graduated from New Hanover County High School. He is the owner of Barfield & Associates Realty, LLC and has been a licensed Realtor since 1997. He served as president of the Wilmington Regional Association of Realtors in 2007. Commissioner Barfield is married to Laura Renita Barfield and they have four daughters. His favorite pastimes are reading and golf. Bid on Johnathan Barfield, a County Commissioner since 2008, Jonathan will host lunch at The George to talk about how the county is assuming a greater leadership role as our region continues to grow. Johnathan's proceeds will benefit The Blue Ribbon Commission. Tom Clifford is from Grand Rapids Michigan and ran cross country and track for Eastern Michigan University. He is always interested in teaching people to be fit and showing them how to work hard in all aspects of life. As a competitive athlete, Tom knows the importance of group training and motivation to keep you focused, so he developed structured running programs. As more people caught on to his expertise, WIthout Limits was born. He coaches running, triathlon training, cycling, and level 3 athletes and some of his accolades include Top 20 men at NYC Marathon (2013) and top 70 men at Boston Marathon (2014). Tom enjoy music, Cold Stone, beer and seeing an athlete he's coached really believe in their potential. Bid on Tom, an elite marathon runner and trainer, Tom will create a customized running experience and finish up with coffee to learn about his fitness tips and ideas. Tom proceeds will benefit to Make a Wish Foundation. Ben David grew up in Gainesville, Florida and moved to North Carolina to attend Wake Forst Law School. Since moving to Wilmington nearly 18 years ago, Ben has created many efforts to fight gang violence in our community. He's active in initiatives and outreach efforts to help rehabilitate and educate those people affected by such crimes. Ben is a founding member of the Blue Ribbon Commission to End Youth Violence, a founding father of the Domestic Violence Shelter and Services and was involved in the creation of Phoenix Hometown Hires, which helps individuals at or below poverty-level to find jobs. Ben is married to wife Stephanie and they have three children. Bid on Ben David, one of our region’s most dynamic leaders, Ben will have lunch at a restaurant of your choice to talk about the innovative ways he’s making our community safer and more prosperous.Ben proceeds will benefit The United Way of the Cape Fear Area. Chip Mahan grew up in Lexington Kentucky and graduated from Washington and Lee University with a degree in economics. Chip is a true entrepreneur and over the years has started several business ventures, including the first Internet-only bank. In less than a decade he has created two of Wilmington’s fastest growing and most dynamic companies. Live Oak Bank, which was only formed in 2008, and is a bank that takes a unique approach to lending by focusing on specific industries around the country, including veterinarians, funeral homes and breweries. Live Oak spun out its technology unit into a separate company called nCino, which allows other banks to boost efficiency by using its cloud-based system. nCino. Bid on Chip Mahan, our region’s most successful business executive in the past decade, Chip will lead a tour of Live Oak Bank’s headquarters and host lunch at The Grove to learn about creating a successful organization.Chip's proceeds will benefit GLOW Academy. Tim Milam grew up in Cabin Creek, West Virginia and went to the University of Charleston, WV on a baseball scholarship. Tim and his family relocated to Wilmington in the late 80's to join his brother and who had started the real estate firm Sea Coast properties. Tim purchased the business from his brother Paul and under Tim's direction, the company has grown from one to 11 offices in Southeastern, NC with over 400 sales associates, staff and managers. In 2012, the company merged with Coldwell Banker Advantage to cover the commercial side of the market. Tim is loved by his family and his employees and staff. What people say about working with Tim is that he brings compassion and fairness to Sea Coast Realty, and he expects the same from his agents. Tim is married to Vicki and they have two grown children and loves the game of baseball. Bid on Tim Milam, the leader of our region’s largest real estate firm, Tim will host a lunch at City Club to talk about how to build and manage a large organization. Tim's proceeds will benefit Lower Cape Fear Hospice. Will grew up in Charlotte, North Carolina and graduated from American University's Kogod School of Business.He went on to play five seasons of professional baseball in Germany and Sweden and won two Swedish Championships. The experiences profoundly and positively impacted his life personally and professionally. Traveling, coaching, leading, managing, listening and adapting taught him things he utilizes and relies on a daily basis. Will has been the Executive Director of Phoenix Hometown Hires for over four years. Will loves to travel and has visited 21 countries to date. Bid on Will Rikard, the head of one of our area’s most accomplished non-profits, Will will host a paddleboard lesson and lunch at Bento Box to talk about how a small group can make a big difference in our region. Will's proceeds will benefit Phoenix Hometown Hires. A native of Wilmington, Bill Saffo graduated from Hoggard High School and received a bachelor of arts degree from UNC Wilmington. He is a real estate agent with Sea Coast Realty in Wilmington. Bill's civic involvement includes Community Boys and Girls Club and the Rotary West Club in Wilmington. He is a member of the St. Nicholas Greek Orthodox Church. Bill's parents are first generation, Greek immigrants. He loves to spend time with friends and family and finds it very satisfying to serve as Mayor of his hometown. Bill has served five terms as Mayor of Wilmington and was re-elected in November to serve another term. 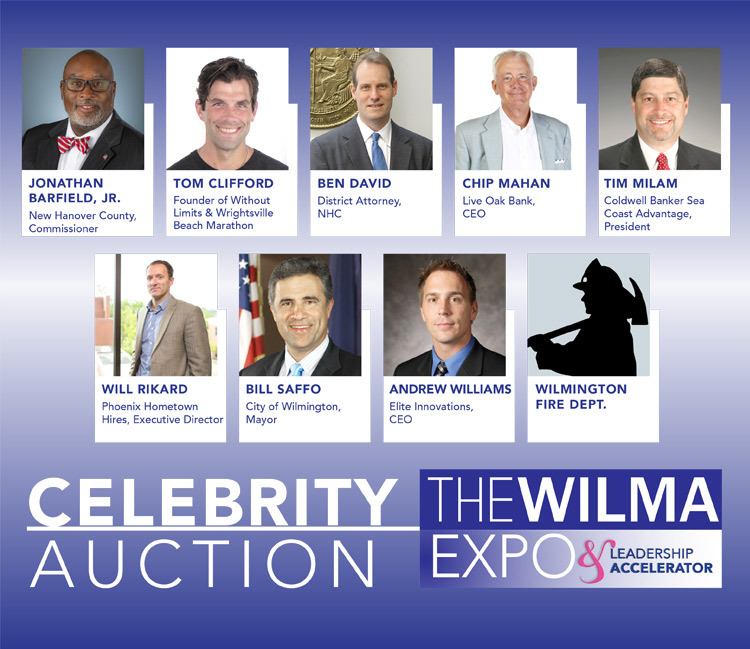 Bid on Mayor Saffo, Wilmington’s mayor for the past 11 years, Bill will have lunch at a restaurant of your choice to talk about how he has generated consensus to move forward on a range of issues. Mayor's Saffo's proceeds will benefit Wilmington Area Rebuild Ministries (WARM). A native of Wilmington, Andrew Williams graduated from Hoggard High School and prior US Marine. He graduated from Virginia Military Institute and studied Strategy and Entrepreneur at UNC's Kenan-Flagler Busines School with an MBA in Strategy & Entrepreneurship and a BS in Mechanical Engineering. He is the founder and CEO of Elite Innovations of Wilmington which is a product development firm that offers membership-based MakerSpace. Andrew has a passion for doing work and bringing ideas to life. He has been a part of many go-to-market projects to date and has several more of his own products to launch in the near future. Andrew loves the game of lacrosse, working out and off-shore fishing. Bid on Andrew Williams, one of our regions’ most innovate entrepreneurs, Andrew will host a salsa lesson and have coffee at Port City Java to talk about the creation and growth of his firm that helps companies develop products. Andrew's proceeds will benefit United Way. Wilmington's first firefighters were groups of volunteers who organized for their own protection. The first group called the "Wilmington Hook and Ladder Company", organized was chartered until 1867. Over the years the fire department has grown with the City. Today the department consists of 200+ professional firefighters and staff personnel that are dedicated to the safety of the residents and visitors to the City of Wilmington. These professionals staff 15 companies that utilize aerial ladder trucks that tower 100 feet high, engines that are capable of pumping 1500 gallons of water per minute, special vehicles for hazardous materials and tactical rescue, a fireboat for marine fires and a zodiac boat for water rescue emergencies. Bid on the Wilmington Fire Department and a select group of Wilmington firefighters will prepare and serve a meal at a local firehouse and talk about their role in keeping our community safe. Proceeds will benefit the Wilmington Firefighters Association. 206 - Summit Hospitality Group, Ltd.
502 - Dan Cassidy with Dry Rub Co.
• A Booth at Wilmington's largest annual event for women for Friday’s Preview Party and Saturday’s WIMA Expo. 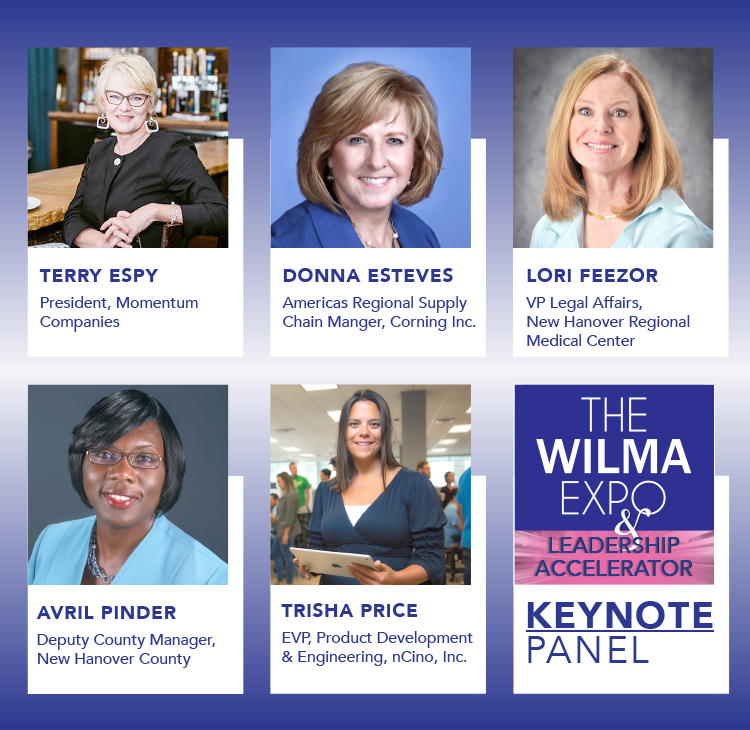 More than 3,500 people attended last year's WILMA Expo! • Unlimited use of a personalized discount code for your business that waives the $5 Expo entry fee for customers, employees, friends and more! Electricity is not available for tables in the hallway or in the WILMA Market. To serve food/beverage samples a Form must be submitted to Convention Center by Nov. 17st. Any sampling of food or beverage of any kind must be approved by the WCC and NHC Health Department 2 weeks prior to the WILMA Expo. All NHC Health Department and WCC guidelines and rules for sampling must be adhered to by the vendors.The Health Department contact is Mark Kenion and can be reached at 910-798-6798. Any products being sampled must be manufactured by the vendor. Additionally, no outside Food or Beverage may be sold on property at any time. Electrical forms can be found by clicking here. Forms must be filled out 12 days prior to the event. Free WIFI for everyone with speeds up to 128kbps connection throughout the center. Authorization Request form for Samples can be downloaded HERE. There will be two window times for move-in, 9 AM and 10 AM. Unload can be done at the dock doors on Nutt Street. There will be people there to assist and help you carry your things to your booth. PLEASE be sure to park your cars IMMEDIATELY after your belongings are in your booth. DO NOT start setting up while your car is in the dock area. If you plan to go to the lunch at 11:30, and any of the Leadership Workshops that immediately follow the lunch, your booth will need to be set up before 11:30 AM. 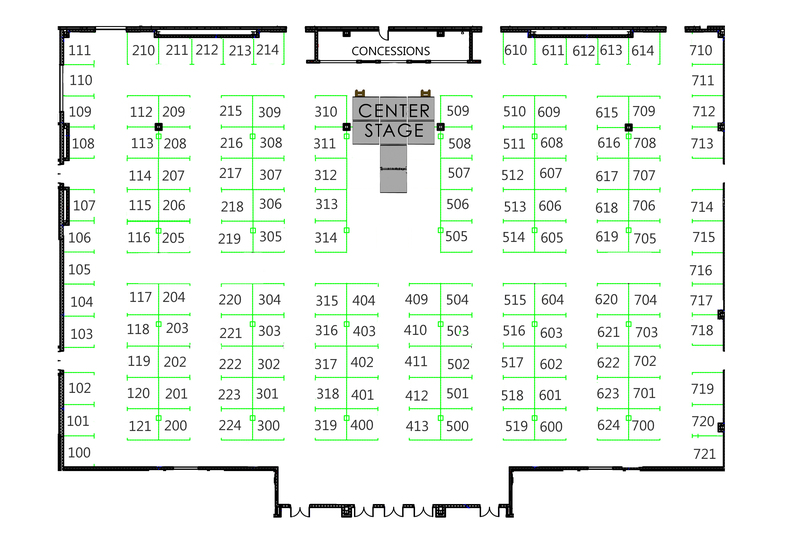 The Expo Hall will be available for the set -up during the afternoon, but your booth must be ready by 4:00 PM. The doors open for the Preview Party open at 4:30 PM. Move in will be from 7:30 - 9:30 AM. on Saturday morning. The WILMA marketplace tables are on a first come, first serve basis. The Hallway tables will be assigned with your company name on top of each table. Your space should be set up by 9:30 AM. The show opens at 10 AM. Joining a board is an important step in developing leadership skills. Women to Watch has partnered with United Way of the Cape Fear Area and UNCW’s QENO to train potential board members and match them with board and volunteer opportunities based on their experience and interests. Learn the responsibilities and find out how you can give back to our community in this one-hour training. Leaders don’t float through their goals or avoid making them altogether. Take control with a plan for building your career path. Speaker Fran Scarlett leads participants through steps to help them identify their personal strengths or potential blind spots and tackle the next steps to best position themselves in their companies and industries. 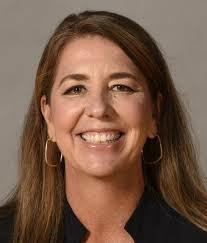 Karen Barefoot, UNCW’s new women’s basketball coach, knows what it means to keep a team focused on the win. But the techniques for motivating players have a lot in common with motivating teams off the court, too. Barefoot shares what she’s learned from more than two decades of building successful programs to inspire the best out of those around you. You don’t have to be in charge of the company to have an impact on its culture. Whether you already head up a team or want to move up in the future, understanding the importance workplace dynamics plays is a key factor in leadership success. Lynn Whitesell, head of talent management and culture for PPD, talks about what company culture means – both good and bad – and the role it plays in keeping others and yourself engaged. Leaders don’t float through their goals or avoid making them altogether. Take control with a plan for building your career path. Speaker Fran Scarlett leads participants through steps to help them identify their personal strengths or potential blind spots to best position themselves in their companies and tackle the next steps.